Drake often boasts about his chart successes and his heartaches, but on his latest album "Scorpion," the 6 God has delivered a confessional the likes we've never heard from him before. The rapper and singer unleashed an explosive 25-track album onto streaming music services on Friday which appeared to confirm that he secretly fathered his first child — addressing a rumour that's been circulating across the blogs. While it's a digital-only release at this point, "Scorpion" is being presented as a double-album that's divided into two parts, one half rap songs and the other R&B tracks. But what becomes especially clear on both sides is that the 31 year old artist - who has often referred to himself as "the boy" — is growing into manhood and the responsibilities that come with it. Drake looks to be committing to fatherhood as he comes clean on speculation that he was keeping secret child away from the public spotlight. Those rumours came to light in May when Pusha T bodied Drizzy with the diss track "The Story of Adidon," where King Push called out Drake for failing to take responsibility as a dad. Drake dodged the topic when it first emerged, but he addresses it numerous times throughout his album. On the song "Emotionless" he raps, "I wasn't hiding my child from the world. I was hiding the world from my child." Other songs that reference a son include "8 Out of 10" and the closer "March 14," where he directly addresses his son - "I only met you one time, introduced you to Saint Nick," and confesses he's "embarrassed" to tell his divorced parents he's "a co-parent" too. The question is, if Pusha T kept quiet about Drake's son, would "Scorpion" be a different album? One song many fans are talking about is “Talk Up,” featuring Jay-Z. While both artists’ verses have received praises, one of Hov’s lines where he mentions XXXTentacion and George Zimmerman is gaining a lot of attention. On the DJ Paul-produced track, Hov references XXXTentacion’s recent death, while expressing his issue with George Zimmerman, the man who killed Trayvon Martin. “Y’all killed X and let Zimmerman live Streets is done,” Jay-Z raps. 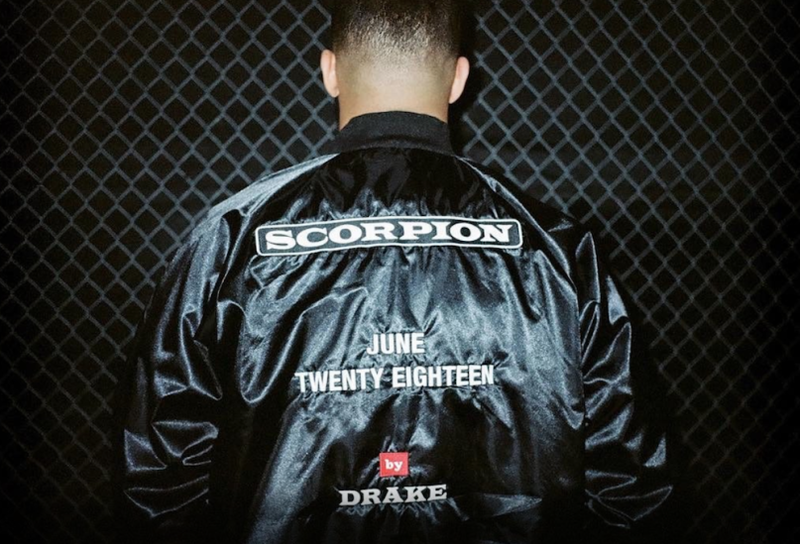 "Scorpion," which clocks in at nearly 90 minutes, features guest appearances by Jay-Z, Nicki Minaj, Ty Dolla $ign, PARTYNEXTDOOR and Future. It's also packed with classic music samples from Mariah Carey, Michael Jackson and Lauryn Hill.